After practicing in a large firm for nearly 30 years, Norm Younker created Younker Hyde Macfarlane, PLLC to better serve his clients. Coming from a background of defending and prosecuting cases, Younker Hyde Macfarlane knows the types of defenses to expect from health care providers. The founders of the firm, Norm Younker, Ashton Hyde, and John Macfarlane, are uniquely equipped to handle any case. With their extensive resources and a vast knowledge base, they have been successfully resolving medical malpractice cases in St. George, Cedar City, Logan, Ogden, Salt Lake City, and throughout Utah. You can rest assured that our law firm located in Salt Lake City, UT, will vigorously protect and represent your best interests. For each and every personal injury case, Norman J. Younker and his team provide personalized care, undivided attention, and extensive resources. We have a proven track record of success for medical malpractice and other personal injury cases. Younker Hyde Macfarlane has a dedicated group of attorneys that make up the medical malpractice and personal injury group. This focused team has a wealth of experience and success handling personal injury cases and are equipped to bring cases to trial whenever necessary. Younker Hyde Macfarlane is helmed by three attorneys who graduated at the top of their class in law school and have been very successful in litigating claims and obtaining favorable settlements on behalf of injured persons. Your best interests are our highest priority. To ensure the best possible resolutions, the firm prepares each case as if it will be tried in court. 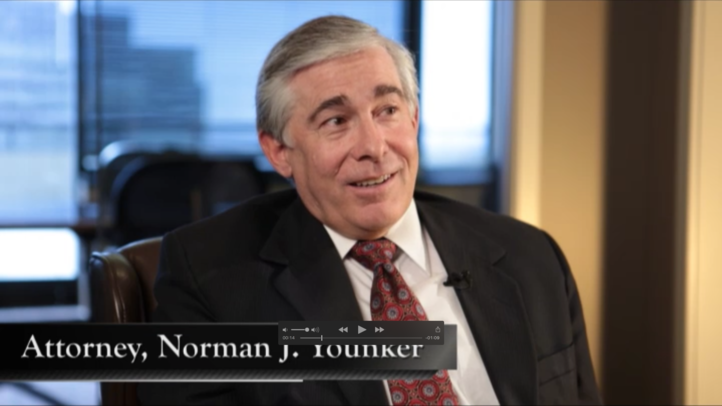 The team is led by Norm Younker, a qualified injury attorney who has been practicing law since 1988. Having handled many medical malpractice cases on behalf of both defendants and plaintiffs, Mr. Younker brings with him a unique perspective to the practice. However, Mr. Younker does not work alone. He leads a team of attorneys who have knowledge in all areas of personal injury litigation, including product liability, medical malpractice, auto accidents, and catastrophic injury. We also work with expert consultants in the fields of medicine, forensics, economics, and accident reconstruction to determine liability and damages. Younker Hyde Macfarlane abides by a simple philosophy: to recover just and fair financial compensation on behalf of clients through effective and thorough representation and counsel. If you are seeking a law firm that will put your interests first you have found your match in Younker Hyde Macfarlane. Our law firm has built its reputation on superlative counsel and representation, as well as a willingness to undertake complex cases that other firms will not. The firm’s reputation is such that nearly three-quarters of its clients are referred by other law firms. That being said, Younker Hyde Macfarlane understands that a reputation can only go so far. To meet clients' needs, a firm must deliver results and invaluable counsel. We strive for this outcome in every case we undertakes. If you are seeking a law firm that will put your interests first you have found your match in Younker Hyde Macfarlane. If you or someone you love has been injured, please send us a message, or give us a call at (801)335-7025. Even if you are unsure as to whether you have a case, we encourage you to speak with one of our attorneys. There are time limits within which you must pursue litigation. Once they expire, you permanently forfeit the right to seek damages in a court of law. By consulting with an attorney, you can make an informed decision about whether and how to proceed with legal action.